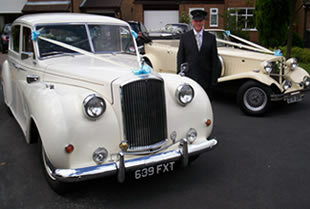 Limousine hire in Manchester, Blackpool, Bury, Bolton and Liverpool for special occasions. Affordable limousine hire for special occasions. Our limousines, chauffeur cars and buses are booked for a huge variety of special occasions. From Christenings, birthdays and wedding anniversaries to romantic dinners for two with a wedding proposal (we've had one or two of those) or a trip to a pop concert, we can provide the magic of a luxurious chauffeur driven vehicle that adds extra atmosphere and convenience to your event. We have a fleet of cherished, well maintained cars and limo buses that accommodate four to twenty passengers in extreme comfort, with champagne flutes, ice buckets and top of the range sound and lighting equipment guaranteed to get your group in the mood for a party. If you're celebrating your wedding anniversary and would like to have the car dressed with flowers and ribbons, just ask when you book and we'll be happy to oblige. If it's a special wedding anniversary, perhaps a Golden Wedding, for your parents and you would like a particular style of music please advise us ahead of the booking and we'll do our best to cater to your requirements. If you want to arrange something special for your child's birthday let us know in advance and we'll do what we can to accommodate your wishes. With almost twenty years' experience in serving customers in Manchester, Salford, Bolton, Bury, Oldham, Preston, Rochdale, Chorley and Liverpool, trust Big Slo Limo Co. Ltd to deliver the personal touch with superb rates on all bookings. Click here to make an online enquiry >>>.